The newest addition to Zoook’s high-class products, Beatbox Pro delivers monstrous music with exceptional sound quality. 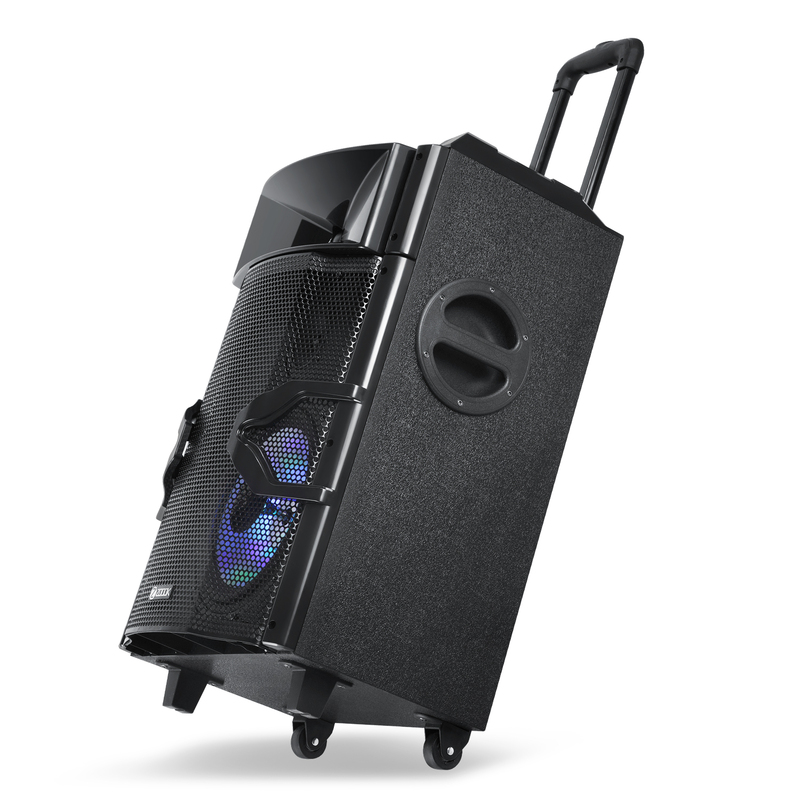 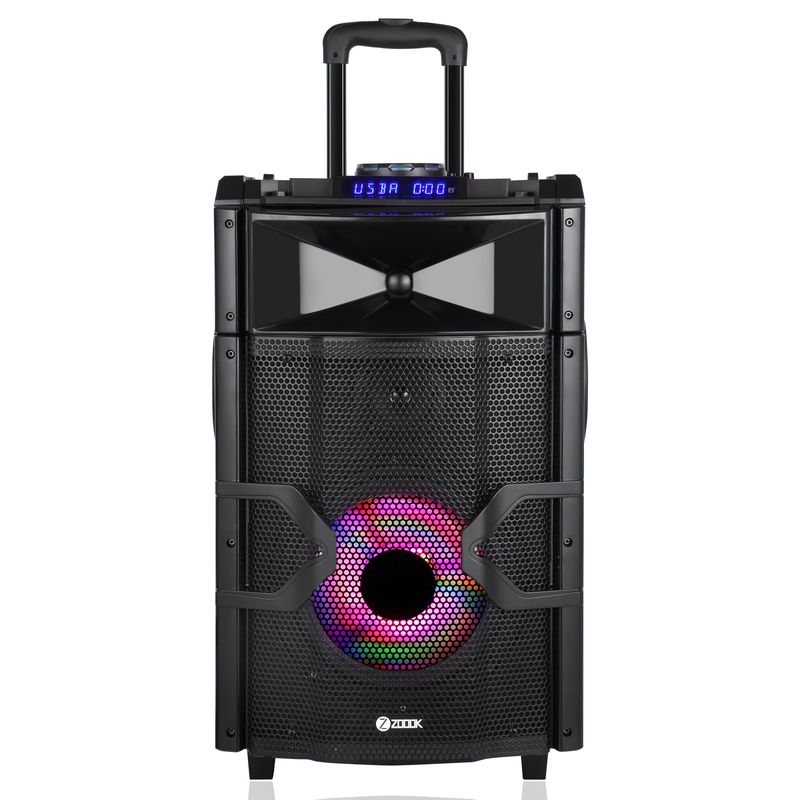 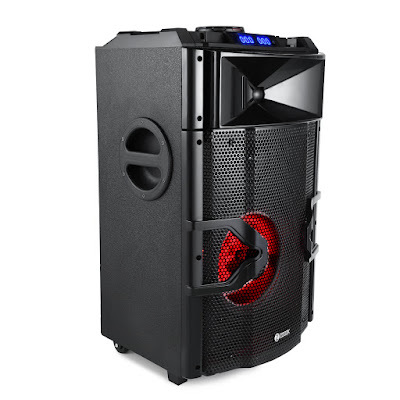 With a built-in battery of 5 hours backup and portable trolley – these features make this product unique compared to its equivalents available in the market. 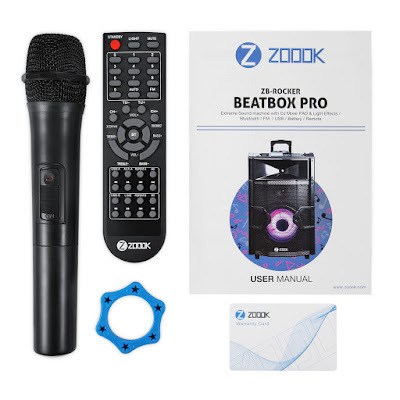 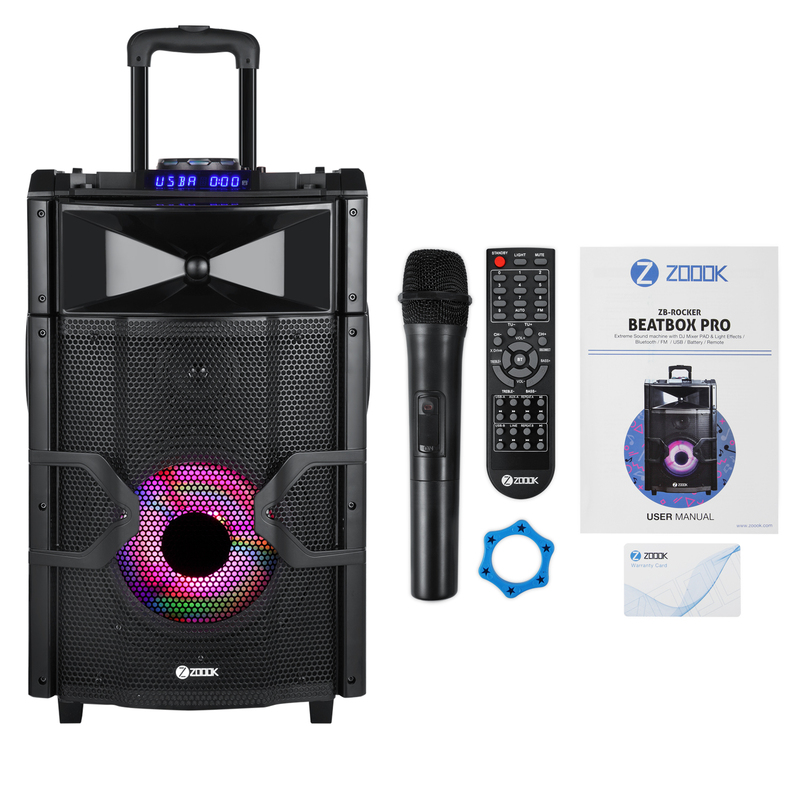 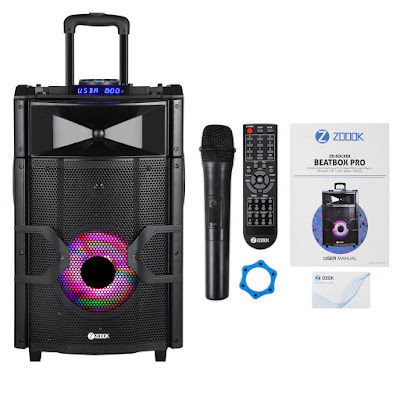 It has an HQ powerful amplifier with Xdrive mode, scratch wheel, and tone control.Beatbox Pro also supports FM and comes with a sleek wireless mic. 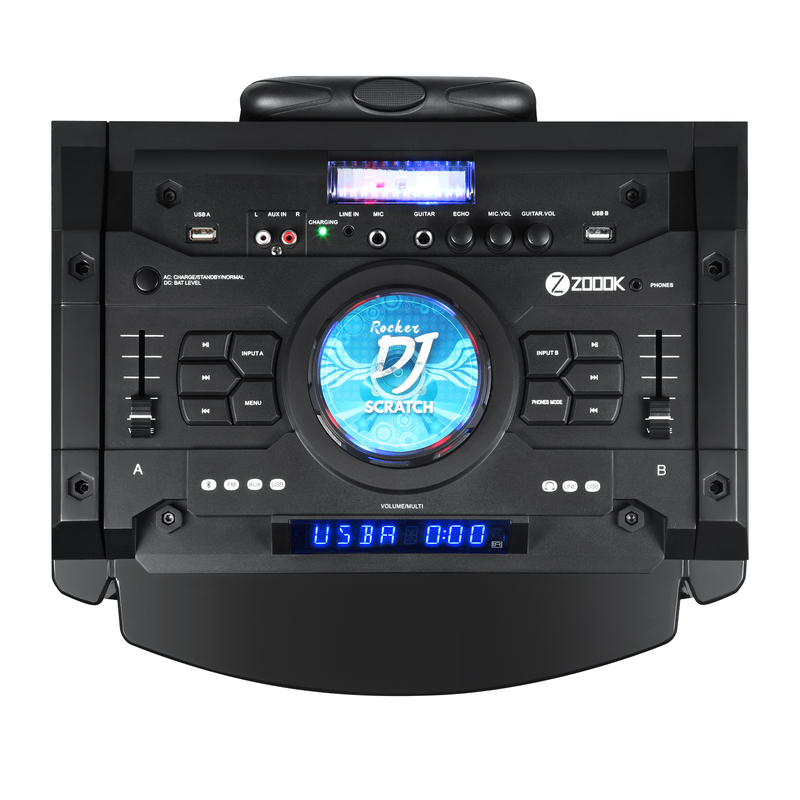 This all-in-one also has a slot for guitar input and treble and bass control.